Our second day in Cambodia began early with the sunrise at Angkor Wat (which we missed! ), and then we proceeded to enter Angkor Thom via the South Gate to visit Baphuon Temple and Terrace of the Elephants before making our way to Preah Khan and Ta Prohm. By the time Jam, his friend and I left Ta Prohm, we were hungry as it was already past lunch time. Our driver Xiao He brought us to Khmer's Family Restaurant for lunch. I have to admit I do not know where this restaurant is located and I could not even find it on the Internet. 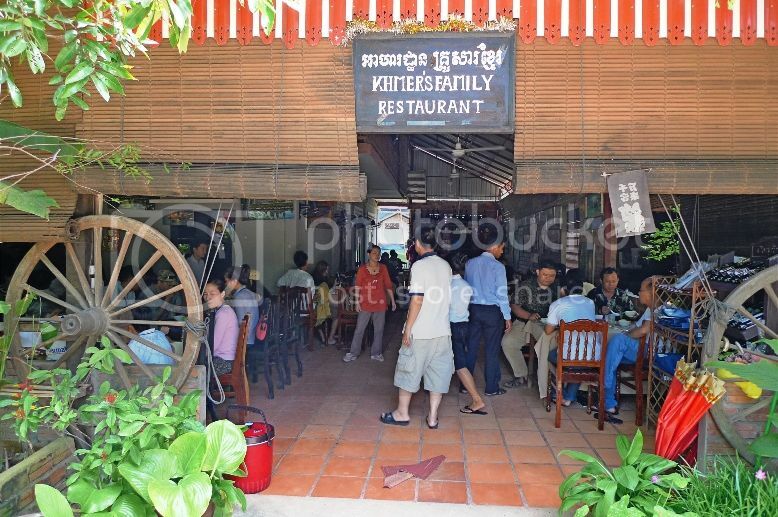 If any Cambodians reading this know the location of this restaurant, please let me know - thank you! 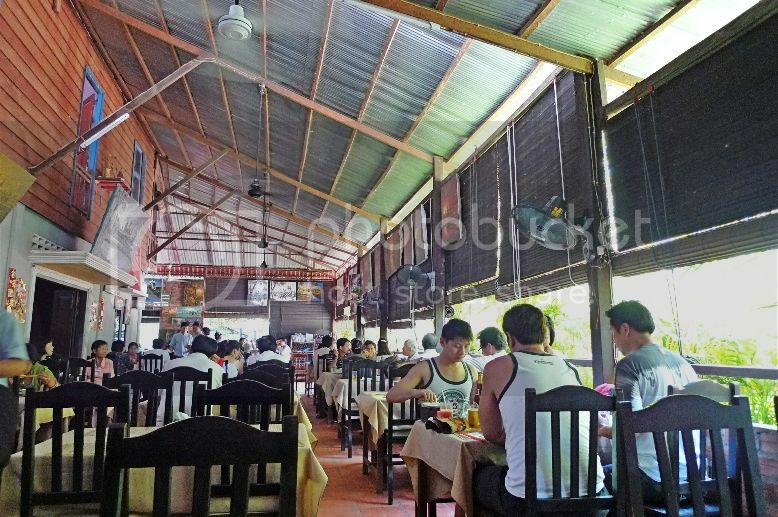 The restaurant had a high ceiling and was rather spacious and airy so it was quite comfortable despite the hot weather outside. 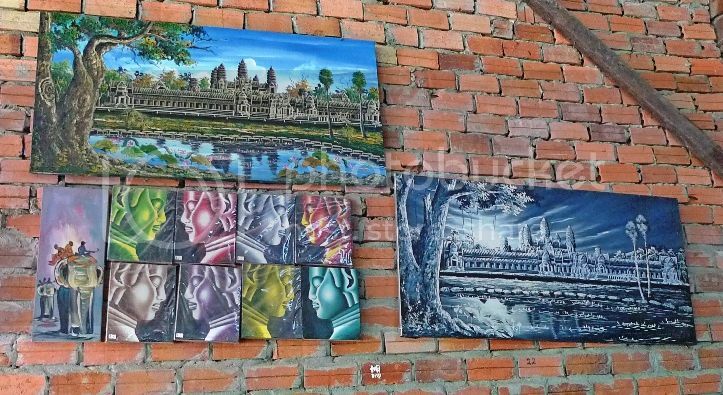 There were some nice pictures of Angkor Wat hanging on the brick wall. We had this dish called samlor chy spicy - a kind of curry but it was not spicy to me. There were meat inside but I could not remember if we ordered pork, chicken or fish! 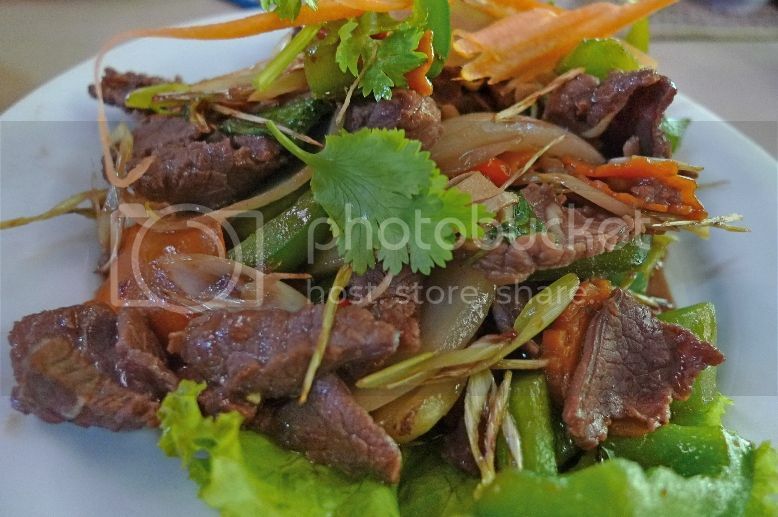 Another dish we had was fried lemongrass with beef. It was not bad! Lastly, we had fried cashew nut with chicken. It was yummy! Each of us had a coconut drink to quench our thirsts. It was a very suitable drink in the hot Cambodian weather! Each of the dish above costs USD6 (RM18) which I thought was quite pricey. 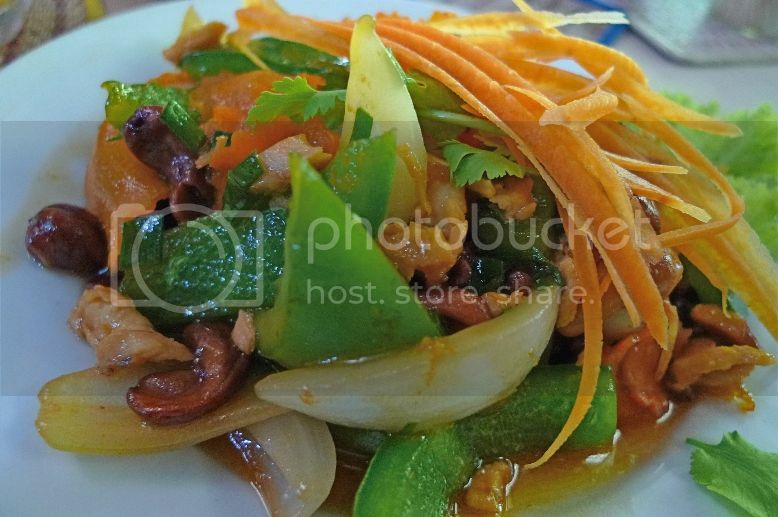 However, by then I had already accepted the fact that Cambodian food does not come cheap. 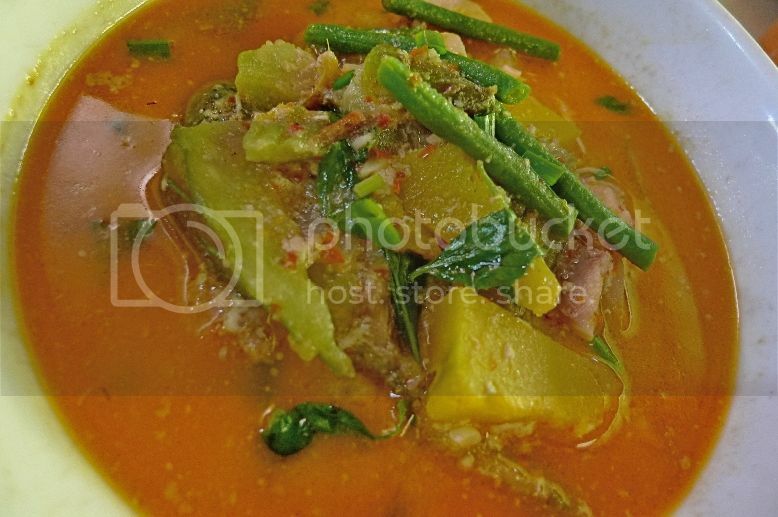 Still, I love Cambodian cuisine and would not mind visiting Siem Reap again for its delicious food!